Do blood type diets really help you lose weight, be healthier and help prevent disease? I've had several people asking me lately about blood type diets. I've always wondered myself if these diets really do work. So this is the perfect opportunity to dig a little deeper into the matter and hopefully find some answers. This diet is not at all new and has been quite popular for years. Several authors have written about the blood type diet, but the main one is Dr. D'Adamo. He believes that each individual would be healthier by eating foods that are compatible with their blood type and eliminating foods that are not. Dr. D'Adamo is a naturopath who wrote several books on the subject with the most popular one called "Eat Right 4 Your Type", which is still selling well to this day. So is this just another fad diet or does it hold any truth? D'Adamo claims that this diet can help improve a persons overall health. He believes it can help with weight loss, allergies and disease prevention. Can this diet really prevent disease and illness from entering our bodies? So far no research has proven any of this to be true, though many people follow and believe in Dr. D'Adamo's diet plan. So if you think you would like to try it, here is how the diet works (in a nutshell). The way D'Adamo breaks it down is there are 4 categories of blood types and 4 diets, one specifically designed for each type of blood. 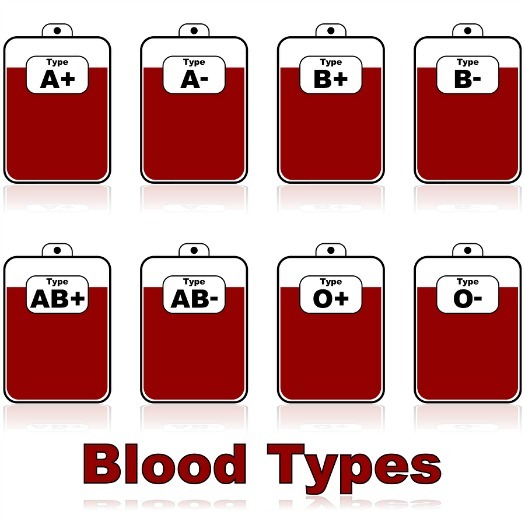 The four blood types are O, A, B and AB. 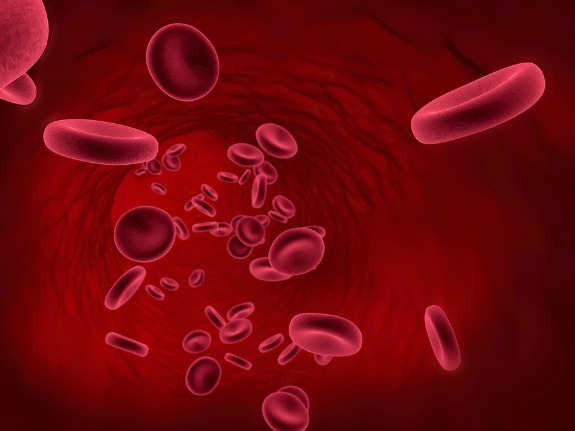 Basically, people with different blood types digest lectins differently. What are lectins? They are carbohydrate binding proteins that perform many biological functions. So the key is to eat food that is compatible with your blood, which may improve a persons health and help prevent disease. If you eat foods that are compatible, then you will digest food quicker, which can help you lose weight, have more energy but most of all help prevent disease. Each blood type has a different array of foods you can choose from. Lots of protein so you can enjoy all lean meats (such as beef, fish, chicken, turkey). Lots of vegetables and fruits, but limit the grains, dairy and beans. Thrives on a high protein diet. Avoid the meat and fill up with fruits, vegetables, grains, legumes and beans. Thrives on mainly a vegetarian diet. This blood type requires a little more limitations. Foods to avoid are tomatoes, corn, wheat, buckwheat, sesame seeds, lentils, chicken. So what should you eat? Green vegetables, low fat dairy, eggs and some meats. Thrives on a mixed diet of meat, fish and dairy. Green vegetables, dairy, seafood, tofu. Avoid caffeine, alcohol and any cured or smoked meats. Thrives on a modified vegetarian diet. Of course, much more detail is given in his book. One huge plus is that these diets avoid all processed and junk foods. This would be a great improvement for most people. Eliminating those from any diet is a sure way to achieve weight loss, increase energy levels and help promote a healthier way of life. Some say they actually do feel better when eating for their blood type. The diet doesn't recognize or recommend if you have any medical issues. Such as high blood pressure, heart disease, diabetes, cholesterol etc. May be a little more expensive on the groceries - organic vegetables, more lean meats than usual. You may have to spend a little more time in the kitchen to prepare meals. Eating out may become challenging. This diet may eliminate some healthy foods from your diet just because they don't fit into your blood type category. There are many people who are healthy and fit without these restrictions in their daily diet. The diet itself is not simply put, in fact, it is hard to understand exactly how the diet works, it has lots of scientific lingo to complicate things. So far, no research has proven that any part of this diet works. You can visit Dr. D'Adamo site at http://www.dadamo.com which gives you all kinds of information including recipes. There is plenty of free information on the internet about "Blood Type Diets" that you can gain a lot of information. For those of you who want to dive right in and follow D'Adamo's diet exactly, then I would definitely recommend buying the book "Eat Right 4 Your Blood Type". Amazon is usually reasonable in price with descent deliver times. Buying the book is one thing, but on a cautionary note, Dr. D'Adamo has built an entire empire around this diet plan. He sells all kinds of things, including some that have nothing to do with healthier eating. Aside from his best selling book "Eat Right 4 Your Blood Type" he also sells recipe books, vitamin supplements, blood typing kits, diet books, skin care products and much more.